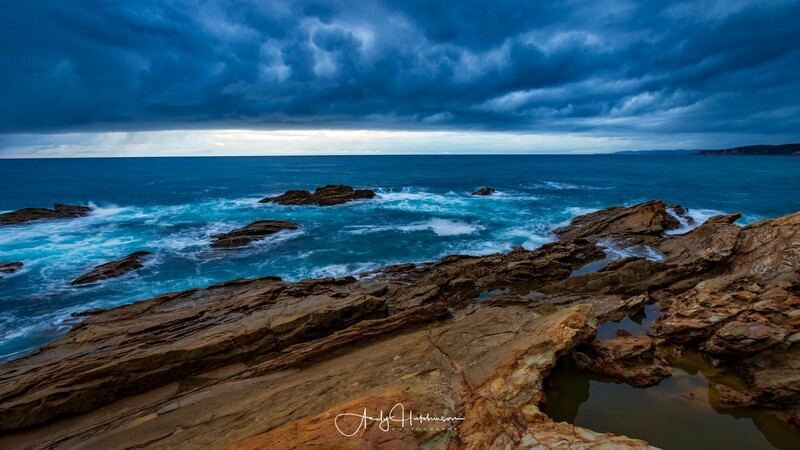 Whenever you book a weekend away there’s always the concern that the weather won’t be great. 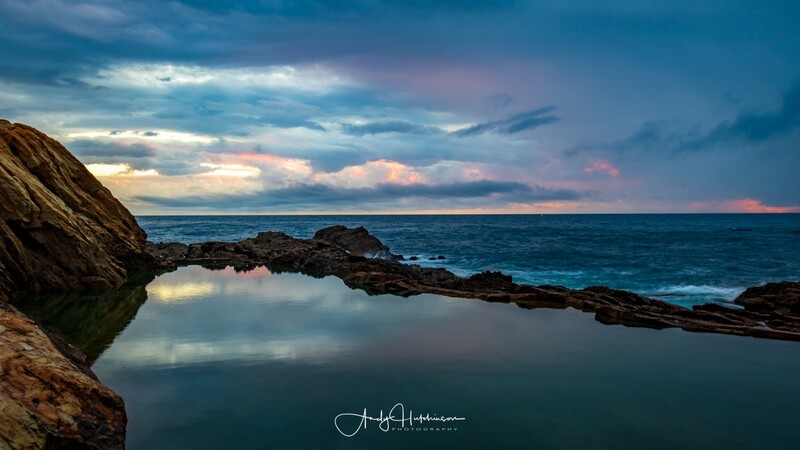 However when you’re a landscape photographer bad weather is actually something of a bonus – instead of boring blue skies you get awesome moody skies, clouds and even lightning. 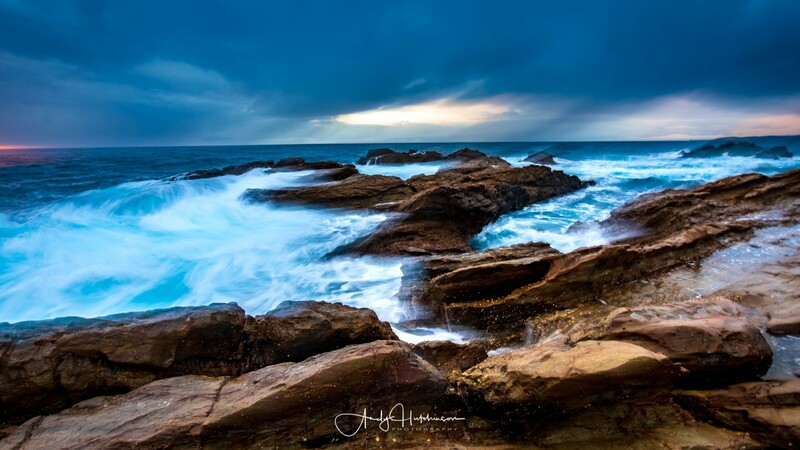 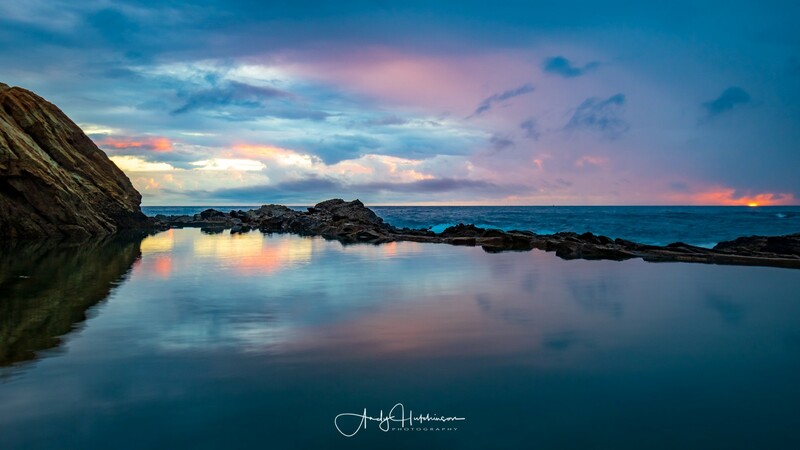 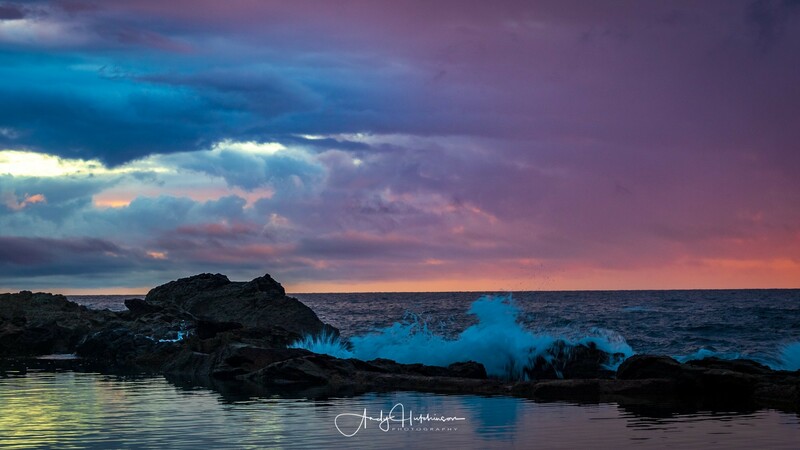 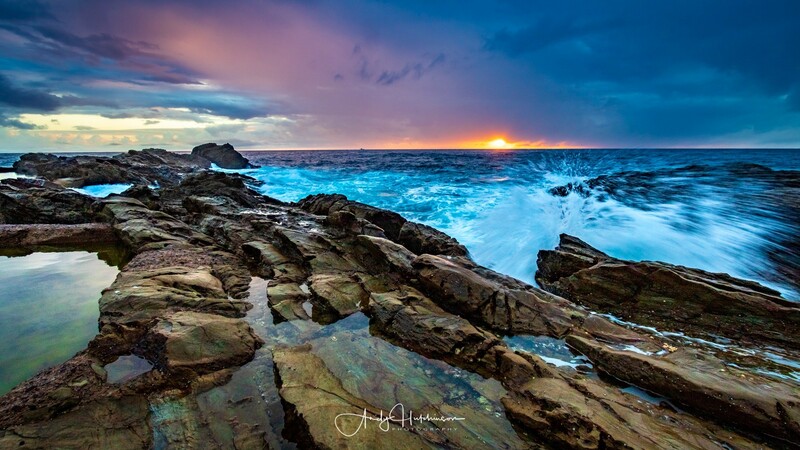 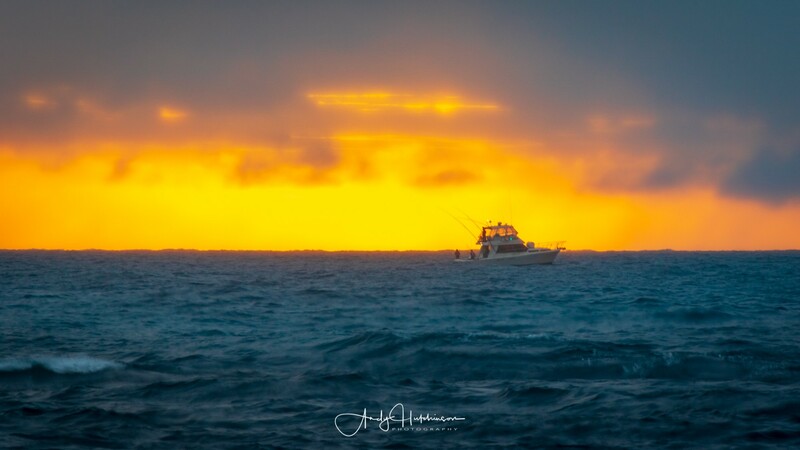 The weather wasn’t quite that bad at Bermagui at the weekend, but the dark clouds perfectly set off a pleasing sunrise. 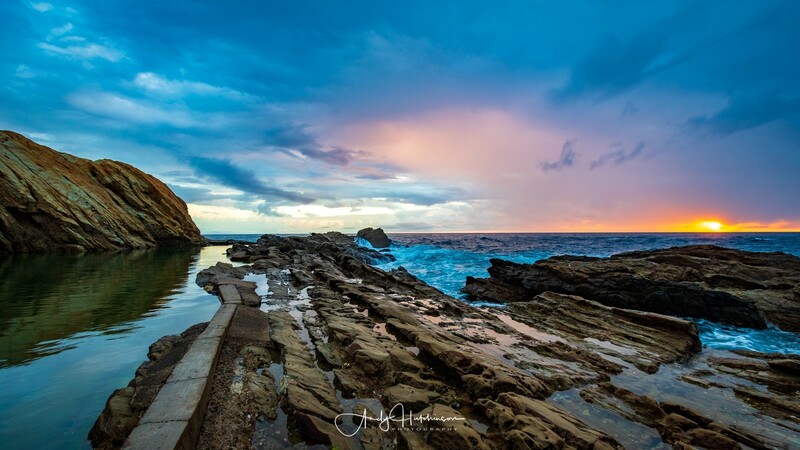 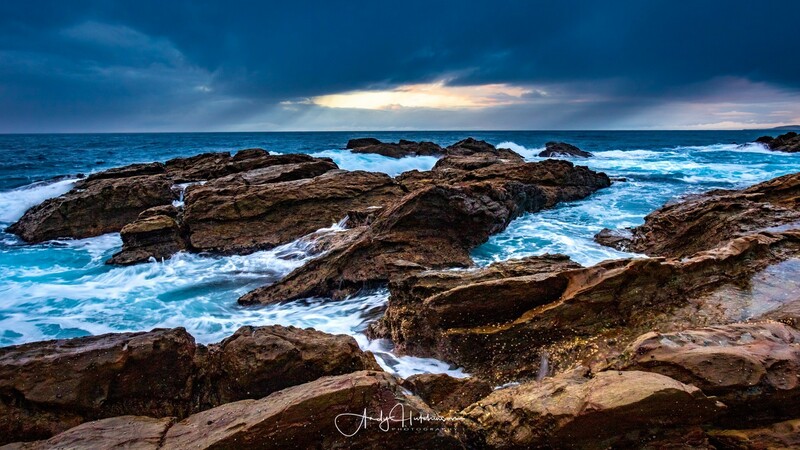 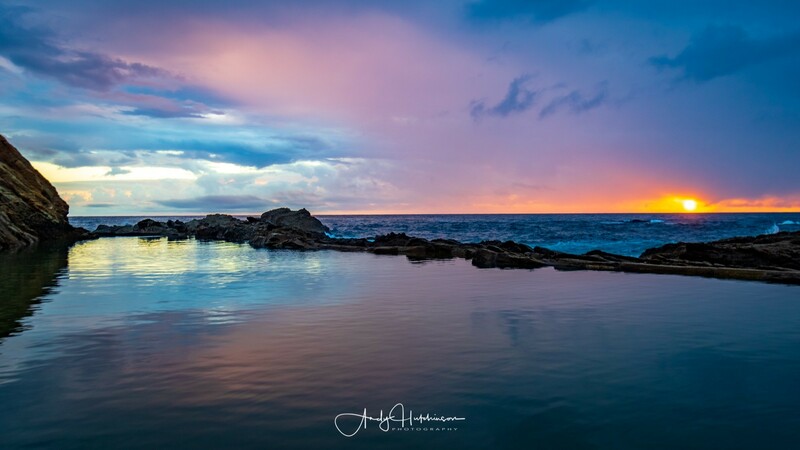 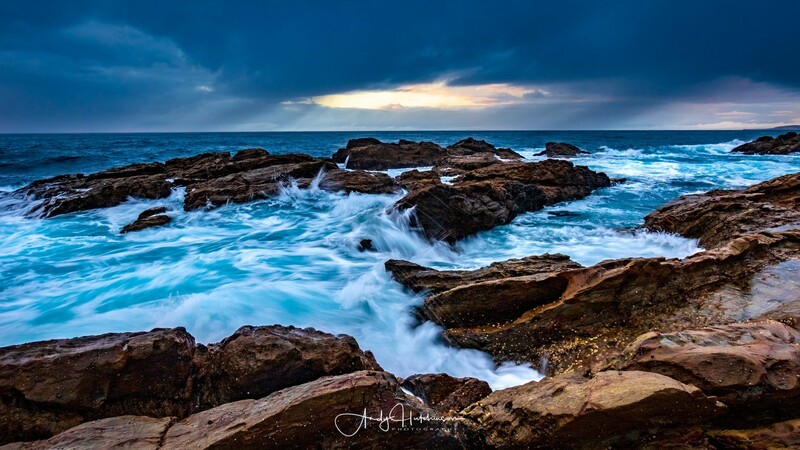 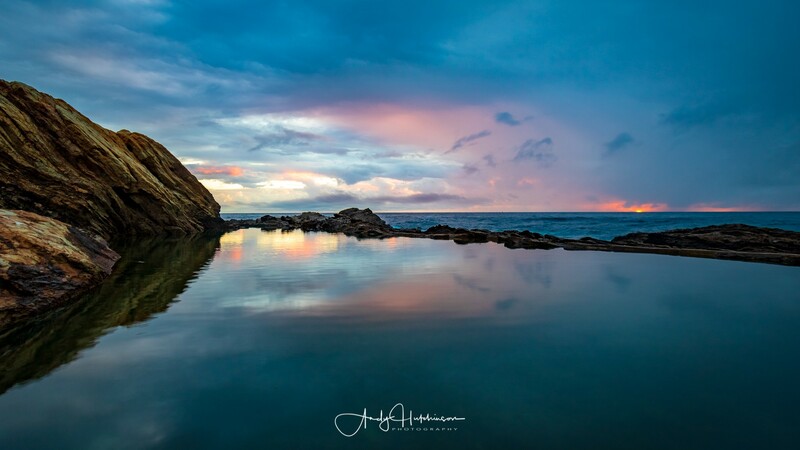 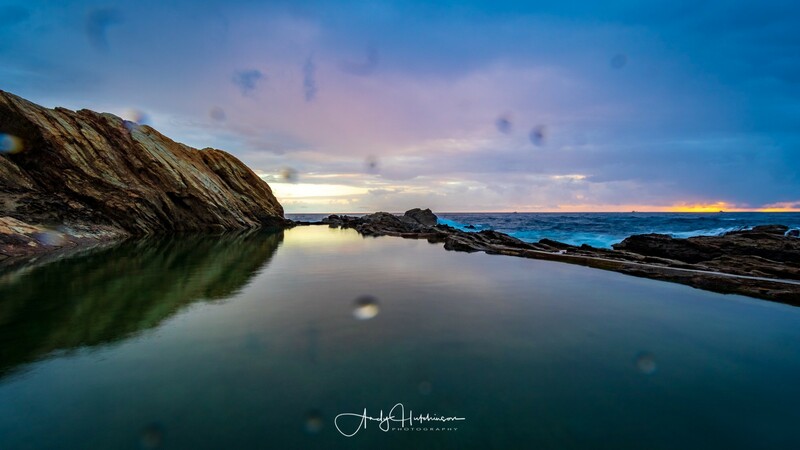 Bermagui’s Blue Pool is its famous ocean rock pool. 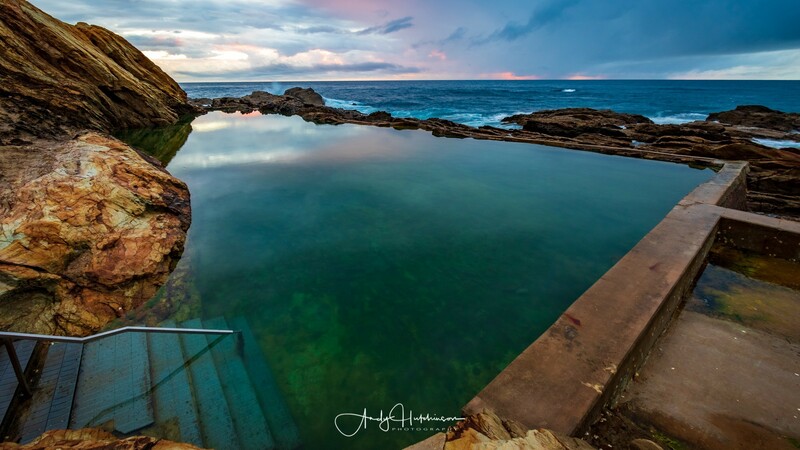 Situated on the eastern side of the town’s headland, it’s a stunning place to go for a swim, whatever the weather’s doing.